When did country music start to sound the same? The first generation of country artists borrowed from everything around them: Appalachian stringband music, Texas fiddle traditions, cowboy songs, Delta blues. In an era of unprecedented access to our musical pasts, shouldn’t country music be even more diverse than it was in its infancy? Honky-tonk supergroup Western Centuries, back with a new album in 2018, surely understands this. They aren’t bound by any dictum to write songs in a modern country, or even a retro country style; instead they’re taking their own personal influences as three very different songwriters and fusing it into a sound that moves beyond the constraints of country. Part of the reason they can make music with this range of influences is because of their roots in city life. Both Cahalen Morrison and Ethan Lawton, two of the three principal songwriters, live in Seattle’s diverse South end, and the third songwriter, Jim Miller, spends most of his time in and around New York City. The urban landscape is rarely mentioned in country music, but it makes for a refreshing sound that draws as easily from modern R&B as it does George Jones. It helps too that the album was recorded and co-produced by Grammy-award winning producer Joel Savoy in Eunice, Louisiana, where local Cajun and Creole artists have always been adept at marrying old country sounds with R&B and rock n roll. Ethan Lawton, known for his earlier work in Zoe Muth and the Lost High Rollers, loves to pen imaginative parables about people living at extremes. "Wild You Run" by Lawton tells the story of watching someone you love deteriorate with a crippling addiction. The subject chases his temptation, but loses his soul as Lawton cries out helplessly "I won't tell mama what you done, go have your fun...". 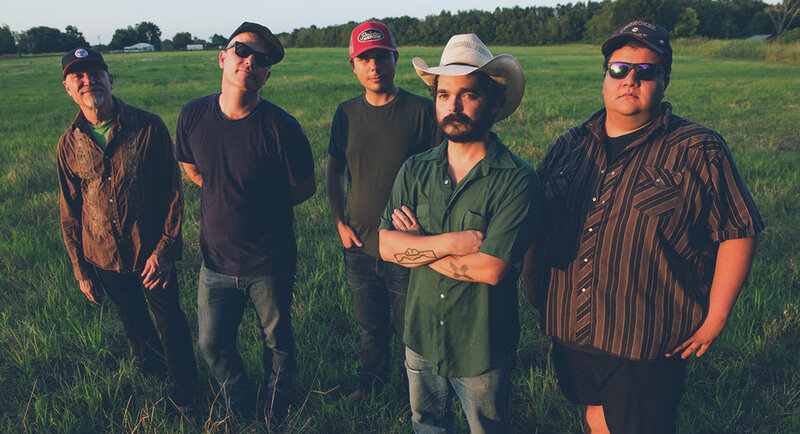 Lawton's "My Own Private Honky Tonk" is a rambunctious new take on the drinkin' alone narrative which finds Lawton dancing and playing music until the downstairs neighbors call. It's a boogie-woogie flavored tune à la Fats Domino that highlights the upright bass work of Nokosee Fields, the band's newest member. With the opening track, “Far From Home,” Lawton wails "mother, dear mother, won't you spin a yarn about the way things were.” It's about the dark days that young men found abroad in Vietnam and the personal wars they had to fight when they returned back home. Cahalen Morrison, known for his earlier duo work with Eli West, is the country boy to Lawton's urban cowboy, inspired by his love for cowboy poetry and the New Mexican desert where he grew up. He's got a knack for bending words around stories until they're as funny as they are tragic, as fantastic as they are real. His songs grow like mesquite in the desert; they twist and turn. On "Earthly Justice," Morrison sings of barflys and their troubles, remarking sardonically "if earthly justice just don't get them in the end, there's always a heavenly trial on its way" as vocal harmonies and pedal steel two step all around him. On Morrison’s album closer "Warm Guns,” he waxes quixotic about loss in love, singing in Spanish about being a victim of his own flaws. Jim Miller, known for his earlier work with Donna the Buffalo, is the resident psychedelic poet. Like the best country songwriters, Miller's sense of communion with nature turns his songs into works of magical realism. On "Wild Birds", a song about a road-bound band, he consults the moss, befriends the tide, and survives fire all while asking for prayers to guide his band home to the end of their migration. "Borrow Time" features Louisiana accordion legend Roddie Romero, and the album's best harmonies between the three lead singers. Some of his most beautiful lines happen on "Time Does The Rest" as he sings "Your heart knows what’s best / Hold her close, the lips will confess / Let it rise let it fall, time does the rest". Western Centuries’ music crosses vastly differing geographies–the city, the southwest, the metaphysical. And their musical influences are equally as diverse. 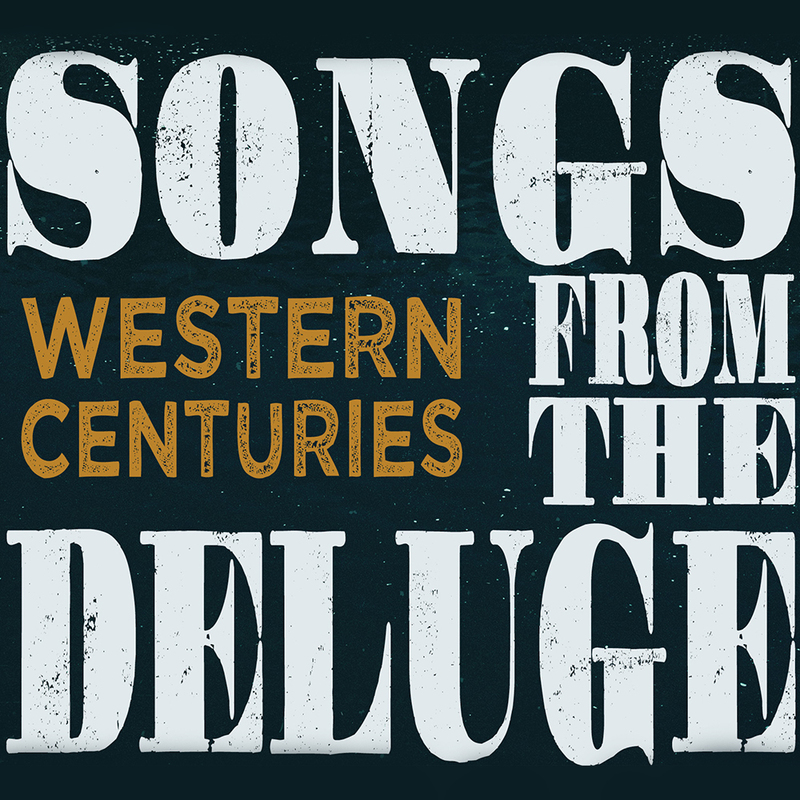 Together, they weave a tapestry of western music, without sacrificing their hard-earned country dancehall sound.Songs from the Deluge will levitate heavy hearts, turn spilled beer into ballads, and bring country music home as literate, epic odysseys from parts unknown.